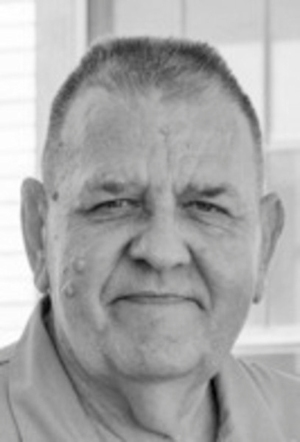 Obituary – Brigham, Everett Ray « Perry High School Alumni Association, Inc.
Everett R. Brigham, went to be with the Lord on Sunday, Nov. 8, 2015. He was 73 years old. A funeral service will be held Thursday, Nov. 12, at 2 p.m. at Tonkawa Bible Church. He will be available for viewing at Anderson Funeral Home in Tonkawa on Tuesday from 1-8 p.m. and Wednesday from 9 a.m. until 8 p.m.
Everett was born the son of Samuel and Caroline Wehrman Brigham on Nov. 29, 1941. He grew up around Grant, Kay and Noble county areas. 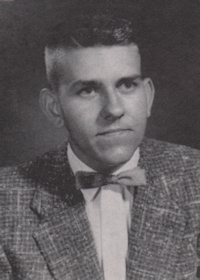 He graduated from Perry High School in 1959 and attended Oklahoma State University in Stillwater. After attending college, Everett moved to a farm west of Tonkawa and began working for Wetmore Pulverizer and Machinery in Tonkawa where he met Glenette Fitch. He and Glenette were married on Oct. 3, 1963. They had one daughter, Audra Ann. He served in the Oklahoma National Guard 45th Infantry Division and trained with the 101st Airborne. He worked for Conoco from 1964 until he retired in 1992. He and his good friend, James Earl Murphy, grew up together and enjoyed hunting and fishing together. They became lifelong friends. While working together at Conoco, Everett and Homer Woolley became close friends and enjoyed spending time together long after retirement. He loved Texas Longhorn and Oklahoma State Football as well as Perry wrestling. He will be greatly missed by so many family and friends. He is survived by his wife, Glenette; daughter, Audra Kingery; son-in-law, Joseph Kingery; and grandson, T-Joe Kingery, all of Tonkawa.